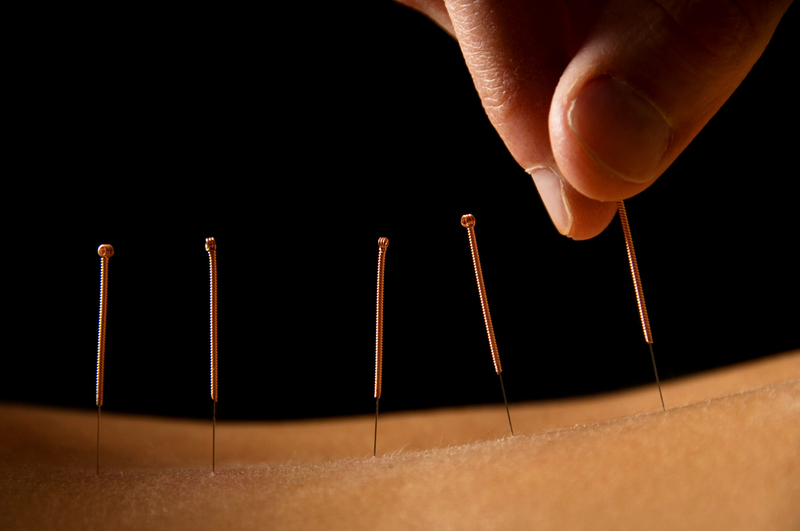 It’s been about 2,000 years in the making, but acupuncture is becoming more mainstream. Research shows that the symptoms of rheumatoid arthritis (RA), osteoarthritis (OA), and fibromyalgia might be improved with acupuncture. The ancient – and current – theory of acupuncture goes a little like this: An essential life energy called qi (pronounced “chee”) flows through the body along 20 invisible channels called meridians. When the flow of this energy is blocked or out of balance, illness or pain occurs. There are more than 2,000 acupuncture points connecting to the meridians. Stimulating those points with needles may correct the flow and alleviate pain. It also helps regulate the body’s nervous system, which can stimulate the release of natural pain-fighting endorphins. But wait…there’s more: Acupuncture tells the body where the battle is. When you cut your hand, the body sends help to the injury site. Likewise, when a needle is inserted into an acupuncture point, the body pays special attention to the micro-trauma and emits healing factors, says Rhudy. Acupuncture also alters the perception of pain, he says. “Brain magnetic resonance imaging shows that deep needling of acupuncture points deactivates the part of the brain that deals with our perception of pain.” This occurs with deep needling, as opposed to superficial needling, a needle is inserted as far as one-half inch (12.7 millimeters). RA. A recent study from China shows that both traditional acupuncture and electro-acupuncture – a type in which pulsating electrical currents are sent through the needles to stimulate target areas – may reduce tenderness. All 36 participants had a standardized treatment, whether they received traditional acupuncture or electro-acupuncture. During a total of 20 sessions throughout a 10-week period, needles were placed at a depth of about 10 to 20 millimeters and left in place for 30 minutes. OA. In a German study, 304,674 people with knee OA who received 15 sessions of acupuncture combined with their usual medical care had less pain and stiffness, improved function and better quality of life than their counterparts who had routine medical care alone. The improvements occurred immediately after completing a three-month course of acupuncture and lasted for at least another three months, indicating OA is among conditions which improve with acupuncture. Fibromyalgia: Richard Harris, PhD, of the Chronic Pain and Fatigue Research Center at the University of Michigan Medical School, recruited 20 women who had been diagnosed with fibromyalgia, a chronic pain condition, for at least one year. Half the women received traditional Chinese acupuncture, while the other half had sham acupuncture. They were then injected with a radioactive tag that binds to special receptors that block the transmission of pain signals in the brain. Scientists scanned the brains of the study participants during their first treatments, and then a month later, after eight treatment sessions. The results showed that Chinese acupuncture increased the activity of the pain-killing receptors in the brain, while treatment with sham acupuncture did not. “We were very excited,” Harris says. Dr. Li, our Traditional Chinese Medicine doctor, is expert at helping patients control the pain from arthritis. Call us on 043481166 to book an appointment.